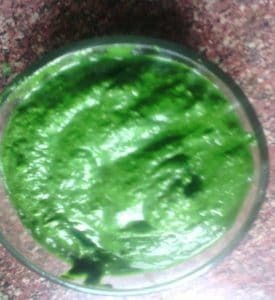 Coriander chutney go with many of the dishes. This chutney complete the dishes and complete the food plate too. There are many benefits of coriander and it is good for kids also, so why not to use it in our diet in every possible way . 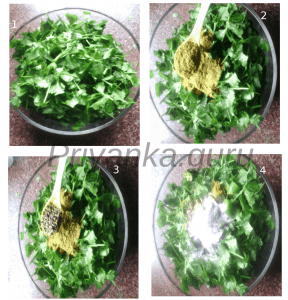 Coriander acts as anti septic to cure mouth ulcers. Infant liver can be damaged due to liver affecting diseases such as jaundice, hepatitis, cholestasis, etc. 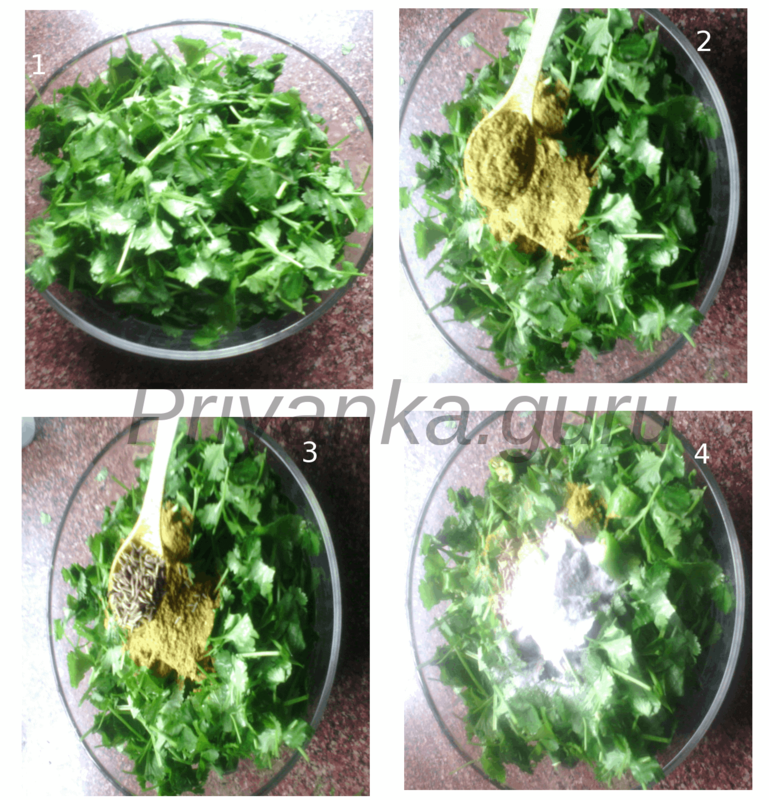 The damage caused to the liver can be cured by giving coriander. Babies can be easily infected by intestinal worms.Coriander also possesses anthelmintic or killing intestinal worms. You reduce lead toxicity in your child’s body by regularly including coriander in the diet. Studies now show that the extracts from coriander act as protective agents against lead toxicity. Note: Generally coriander allery is very rare, still check if our baby is allergic with certain food like apple,kiwi , carrot etc. Then check for the allergy after giving it to your baby. If you find any sign of allergy then please contact your pediatrician immediately. It is recommended to introduce herbs and spices to babies between the ages 8-10 months or older. Shall we move towards the recipe? Chop the leaves unevenly and wash it thoroughly 2 times. Put 1/4 th in the grinder and add ginger and chilly. When it grind well grind all the leaves and add spices to it except lemon juice. Add water if the consistency is thick. Take it in a bowl and add lemon juice to it. Can be served with any paratha. Can be served with puries. Used for decorating the dishes. Please share your experience with this chutney. Hope your kids and family loves it too.